What's employee engagement got to do with customer service culture or the customer experience? Well... have you ever had a good customer experience when served by someone who wasn't engaged? Only 1 in 3 employees are engaged at work, according to Gallup's 2017 State of the Global Workplace study. This leaves 51% who are “disengaged”. And a further 16% who are actively disengaged, destroying all that the 33% of engaged employees are doing. Imagine what a negative impact that can have on your customers' perception of your customer service! and where customers LOVE to buy. Business owners and managers often tell me they are frustrated their team just don’t get their service ethos. They know a unique customer service culture is an opportunity to create a key differentiator to their business. 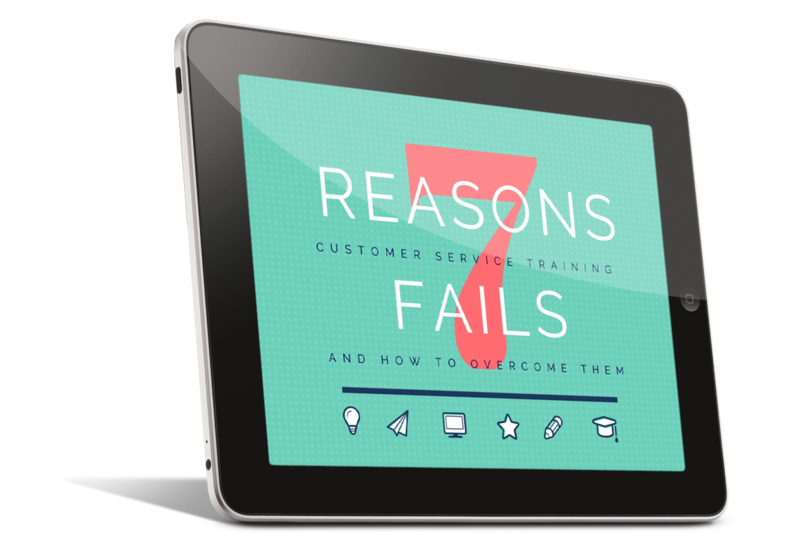 Although their team have had customer service training, the customer service culture is still not as they’d like. You know how it is… Someone can make all the right moves, but without the empathy, rapport or enthusiasm behind it, the service can still leave us feeling cold. If my 33 years training experience has taught me anything it’s that simply putting someone on a course rarely - if ever - gives you results. What happens before and afterwards is just as important as the training itself if you expect to get a return on your investment, and create a genuine and unique customer service culture. I have worked with Caroline for many years and therefore have complete confidence in her ability to identify the issues and come up with innovative long term solutions that add direct value to the business. 2) Senior team value: Caroline has began work to ensure our senior team can understand and articulate our value to clients and customers. The first workshop has led to our team questioning what is value work and ensuring that they delegate more effectively. The positive feedback from our team, is that they are now focusing on added value activities and this is helping them manage their workload. I would not hesitate in recommending Caroline to any business that want real client and customer focus and growth. Take this short assessment to identify just how engaged your team truly is and how likely they are to be fully productive, deliver great service and be loyal to your business.